Welcome to Rockland Mills! Here is your opportunity to own a luxurious condominium in this gated community which offers a low-maintenance lifestyle, making it easy to lock it and leave it! An over-sized dedicated parking space comes with the property with easy access from an elevator or stairs to this two-story condominium. Gleaming, random-width, red oak flooring flows throughout the entire first floor, with the exception of the tiled bathroom. This two bedroom, two full bath home is quite spacious and includes vaulted ceilings on two floors and optimum natural light! The kitchen has a large eat-in area with sliding glass doors to the deck and boasts 42 inch tall wall cabinets, a decorative tile backsplash, warm granite countertops, a wine cooler, new GE Monogram refrigerator, a smooth top range and oven and the list goes on! Conveniently located off of the kitchen, the utility area has a pantry with a large pass through that includes plumbing rough-in for a future wet bar and ample storage space. The bright and cheery living room has windows on two sides offering beautiful views and a wood-burning fireplace with a brick hearth surround and painted wood mantel with dentil molding. 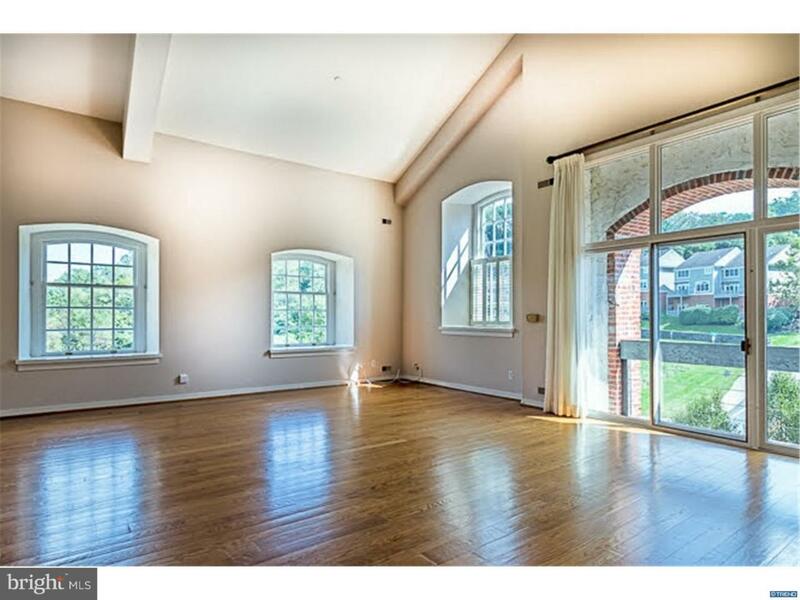 The windows include special architectural details with arched tops and wide wood trim and deep sills. The master bedroom has a large walk-in closet and a tile bathroom with an oversized shower and a soaking tub. Decorative interior French doors open from the owner's bedroom to a loft, ideal for a home office or quiet space.